The HyLoft 48 in. x 48 in. 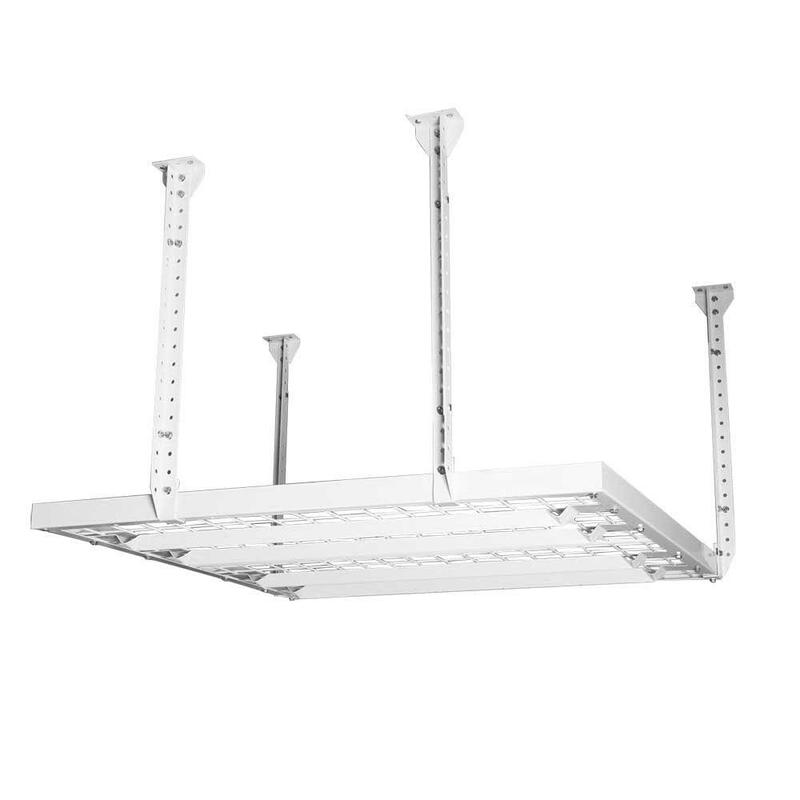 white Super Pro Ceiling Storage Unit features a unique design and floating rail system that allows for fast installation. Install in any garage, even on vaulted ceilings. The down-rod supports can be installed anywhere along the 96 in. or 24 in. frame rails and are height-adjustable from 24 in. to 44 in. 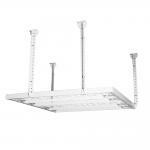 Space-saving HyLoft Add-on Storage Hooks can be used with this item for increased storage and organization. Made of durable steel with an attractive, scratch-resistant white powder coat finish. Holds up to 300 lbs. evenly distributed. Height-adjustable from 24 in. to 44 in.